Today’s Google doodle celebrates the 215th birthday of Mary Anning. She was one of the first people to help usher in the modern age of paleontology as a science and was the prime worker on the Jurassic Coast near Dorset, England, probably the most important fossil site for marine reptiles in the world. The Natural History Museum of London calls her “the greatest fossil hunter ever known..” Among other finds, she is credited for finding the first correctly identified skeleton of an ichthyosaur, the first complete specimens of a plesiosaur, the first pterosaur outside Germany, and identifying coprolites as fossil feces. Until that time, they were called bezoar stones, indigestible masses found within the digestive system. They were rumored to be an almost universal antidote for poisons and were used as such in J.K. Rowling’s Harry Potter series. 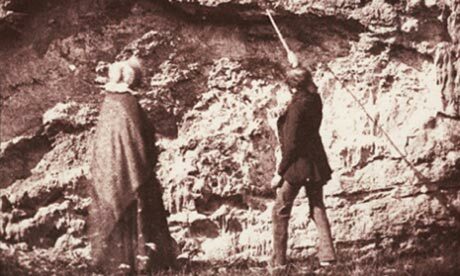 The first woman to receive a eulogy at the London Geological Society, an honor given only to distinguished member scientists (she wasn’t even a member because the society did not accept women at the time, they just took her work and published it under their names), Mary Anning was widely sought after by researchers in her time for her expertise. The tyrannosaur named Sue. Wikipedia. They have a point. Few fossils collected by commercial fossil dealers ever get scientifically studied. Who knows how many priceless and important fossils are locked away in someone’s private collection. Museums do not have the resources to compete with private competitors to buy fossils except in the rarest of occasions and even then, it depends on the finances and good will of private individuals willing to donate to the museum for that purpose. The tyrannosaur named Sue sold at auction for $7.6 million to the Field Museum in Chicago, who needed the help of the California State University system, Walt Disney Parks and Resorts, and McDonald’s, along with numerous individual donors to raise the money. Researchers collecting fossils must always be on their guard to protect their dig sites due to the common occurrence of thieves stealing fossils from their dig sites to sell them. Many paleontologists have stories of finding a skeleton at the end of the season and having no time to collect it, only to come back the next season to find someone has collected the sellable parts and not uncommonly have smashed the rest. Even if the fossils find their way to a public institution where they can be studied, most commercial fossil collectors do not take sufficient notes about location and all the details at the site to make the find reliable enough to study well. It is often said that a fossil without provenance data has little more worth than having no fossil at all and for good reason. If you don’t know where a fossil came from, there is little you can say about it and it is impossible to place it in context with other fossils. On the other hand, commercial fossil collectors say that without them, most of the fossils they collect would have eroded away and been gone completely with no record of them ever having existed at all. There simply aren’t enough paleontologists and money in academia to collect all the fossils they do and they are right. 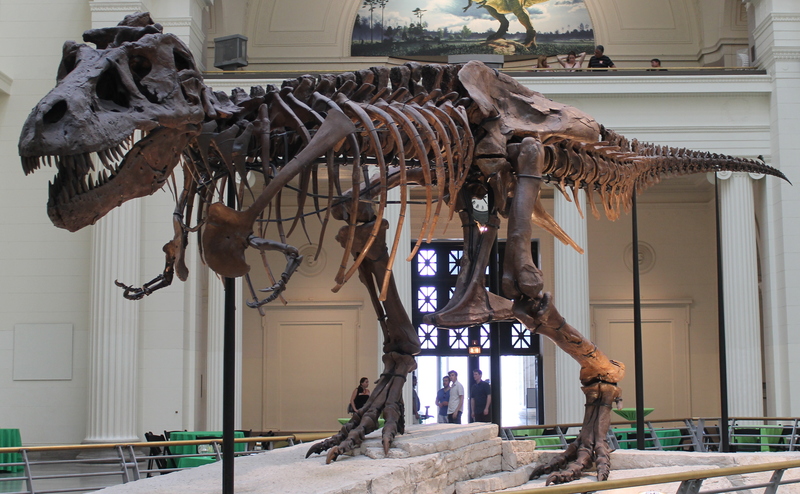 The tyrannosaur Sue is a great example of a dinosaur fossil that may not ever have been found if it were not for commercial fossil dealers. What makes this point important for this essay is that Mary Anning was a commercial fossil dealer. She funded her research and supported herself by selling fossils. Without the income she received from fossil sales, she would never have been able to make the discoveries she did. So who is right? Maybe they both are. 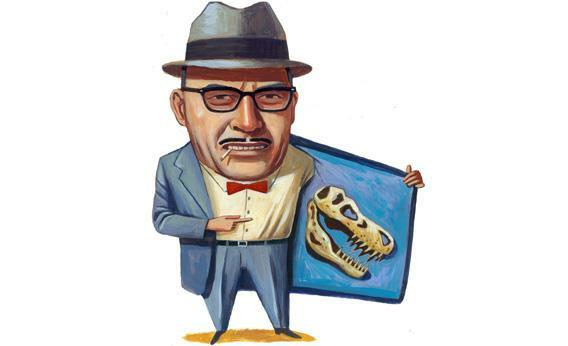 It is undeniable that unscrupulous poachers and fossil dealers steal and destroy priceless fossils which never enter the public and academic consciousness, but it is also undeniable that commercial fossil dealers have contributed greatly to our knowledge of paleontology. The AAPS, Association of Applied Paleontological Sciences, an organization representing commercial fossil dealers, advocates for responsible collecting, having a professional academic work with commercial fossil dealers so any finds can be studied. Their position would indeed help bridge the gap between the academic and the commercial dealer. However, this requires the benevolence of the collectors and many, possibly most, are uninterested in letting academics study their fossils. While the fossils may be able to be studied during the time they are found and prepared (removing the encasing rock and putting the pieces together), most of the study comes after this point. A fossil in private hands can easily become lost and access is at the mercy of the owner. A museum, on the other hand, is required to maintain records of the fossils and provide access to anyone who wants to study them. So what is to be done? Currently, it is illegal to collect vertebrate fossils on Federal land. The reasoning is that Federal land is owned by everyone. As such, anything on Federal land must be protected for all citizens, making collections for private sale not in the interests of the country as they take fossils out of the public trust and therefore inaccessible to the public. States have their own rules, some make it illegal, others have no specific laws concerning fossil collections. On private land, there are no restrictions. Any fossils found on private property are the property of the land owner and they can do whatever they want. What is the correct answer? That depends on your point of view. Certainly the collective point of view has changed through time. What do you think? By paleoaerie in Paleontology, Uncategorized on May 21, 2014 .